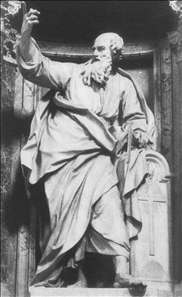 Pierre Le Gros (or Legros) the Younger, French sculptor, pupil of his father Pierre the Elder, who worked mainly at Versailles. 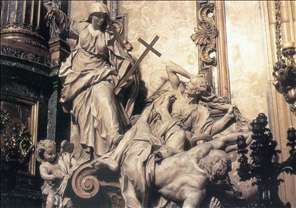 Pierre the Younger won the Rome Prize in 1686, was in the French Academy there 1690-95, and settled there permanently. 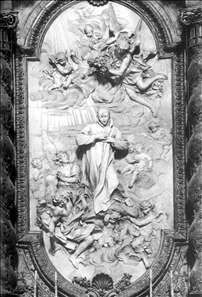 He worked extensively for Roman churches, especially for the Jesuits, and at the end of his life at Montecassino (Gregory the Great, 1714-19). 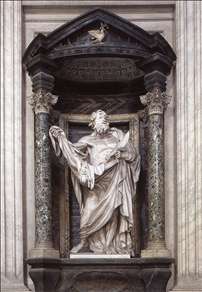 For the altar of St Ignazius in the Gesù in Rome he made a large marble relief (1695-99) of Religion Defeating Heresy, and a silver statue of St Ignazius which was melted down by Pius VI to pay reparations to Napoleon in 1797. The present statue is a replica. 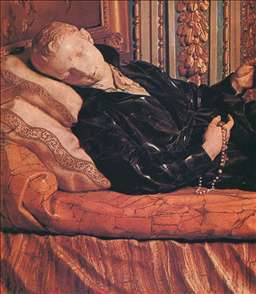 Other works include a relief of S. Luigi Gonzaga, in collaboration with Guillaume Coustou, in S. Ignazio, but his most famous work is the polychrome marble statue of St Stanilas Kostka on his Deathbed for the Jesuits of S. Andrea al Quirinale. 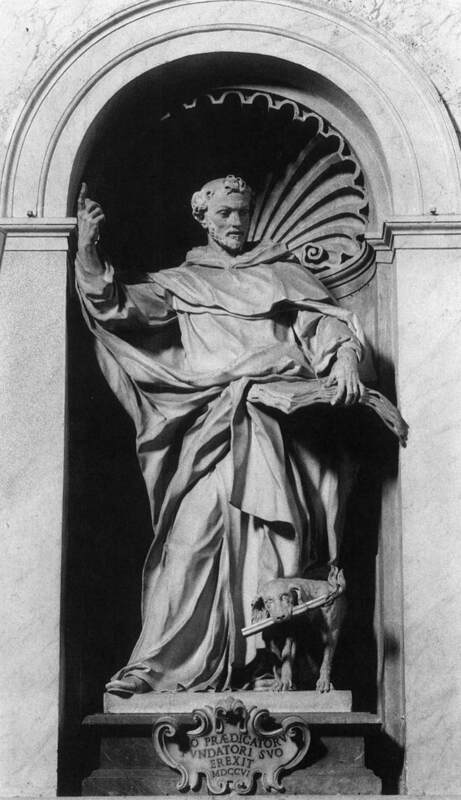 He wished it to be placed in the church but the Jesuits maintained that it would interfere with the uniformity of the church, which Bernini had insisted upon. It is in a nearby oratory. 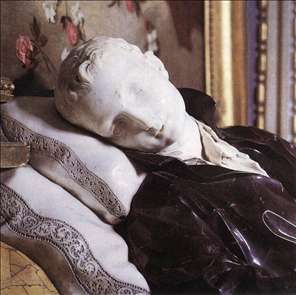 Le Gros s art is still Baroque, but in the more restrained manner practised particularly by French sculptors trained in Rome. See more details about "St Aloyzius Gonzaga in Glory"
See more details about "The Death of St Stanislas Kostka"
See more details about "The Death of St Stanislas Kostka "
See more details about "Religion Overthrowing Heresy and Hatred"
See more details about "St Bartholomew"
See more details about "St Dominic"
See more details about "St Thomas"